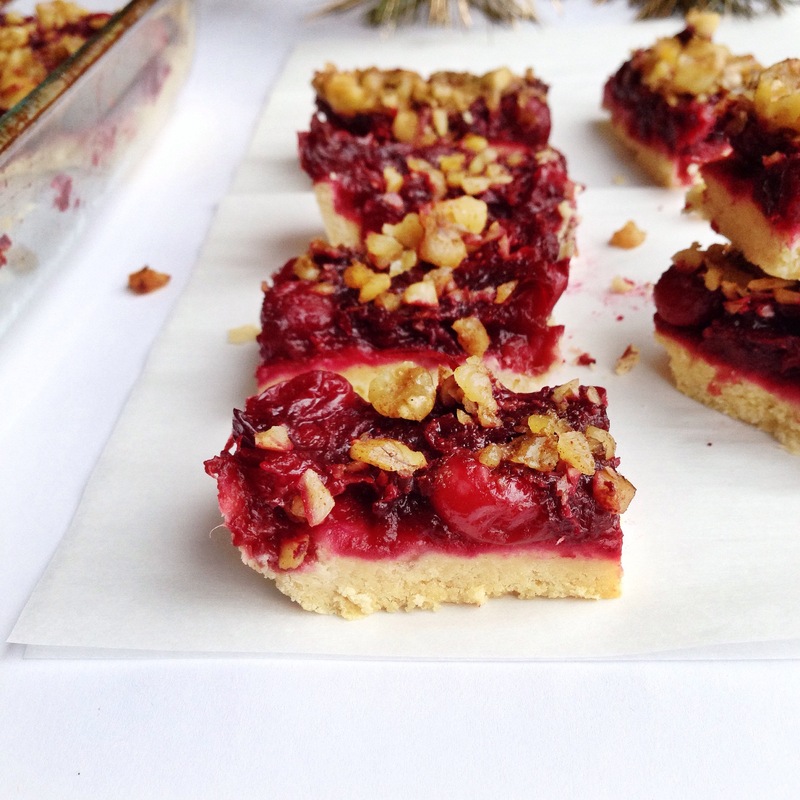 Cranberry Pie [Bars!]. | Eat More Plants. Am I the only one who really loves how tart cranberries are on their own? I doubt it. Unite cranberry lovers! 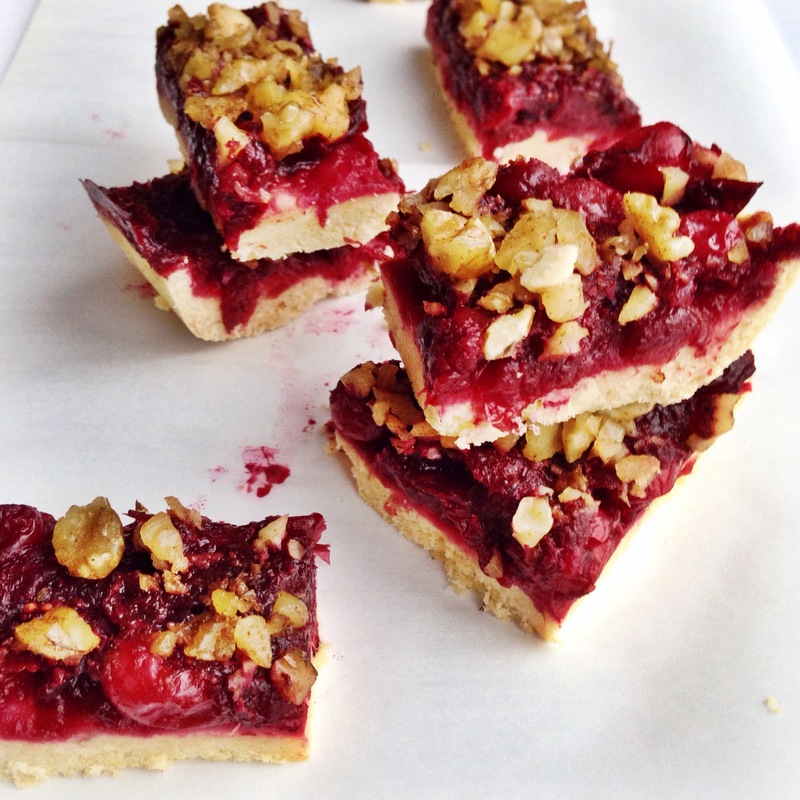 And try this crumbly pie of tangy goodness. It’s that time of year when you walk in the co-op and see that big barrel of beautiful red jewels just waiting to be turned into something fabulous. I was thinking about what to bring to my family for Thanksgiving and figured a pie would be the easiest to transport safely. I kind of winged these but they came out great! 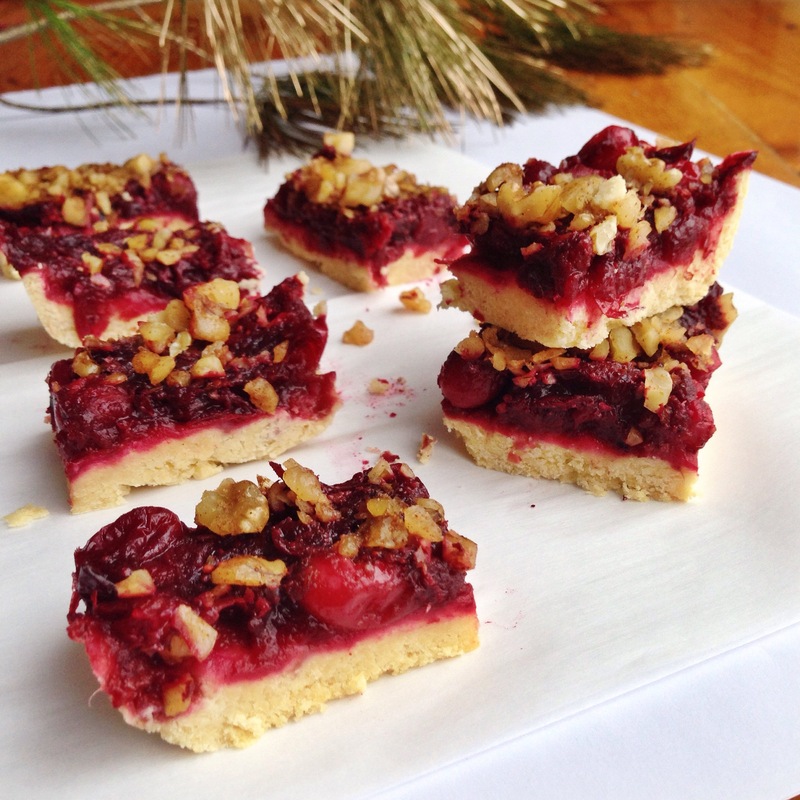 If you’re not a lover of tart cranberries, I would advise that you up the sugar amount slightly. First prepare your pie crust. Preheat your oven to 425 degrees F or as otherwise directed on your biscuit package. Add the coconut oil and biscuit mix to a large bowl and cut together (with a pastry cutter or two knives…or your clean fingers) until the mix forms a crumbly meal. Slowly add in the water while mixing with a wooden spoon or spatula. Mix gently until you get a big ball of slightly sticky dough. Press the crust into the bottom of a 9″ pie pan or a 8″ or 9″ square baking dish. You’ll have enough to cover the bottom and go up the sides about an inch. Cook the crust for 18-20 minutes or until just beginning to turn golden. While the crust is in the oven, prepare the filling. Pour your cranberries into a medium pot. Add the sugar and the water and cook over medium to medium-low heat for about 6-8 minutes. The cranberries will begin to burst; you can smash them as they do so. Cook until the mix becomes slightly thickened and the water has absorbed completely. When the crust is done, pour the cranberries over the hot crust and place back in the oven for 15 minutes. Start chopping up your toppings together on a cutting board, except for the maple syrup. Chop until the nuts are small and crumbly. Add the topping to a small bowl and drizzle the maple syrup over it. Mix well. Sprinkle the topping evenly over the cranberries and bake for another 5-10 minutes or just until the nuts start to brown. I’m one of those that don’t like the tartness but I have to say these look delicious.